Know and adhere to the terms of the established Community Standards in the Relationship Statement. Know and adhere to the provisions in the Tufts Habitats; ensure that all Life Safety Systems (Fire Alarm, Sprinkler, Fire Escapes, Fire Extinguishers, and Emergency Exits) are properly maintained. Lead by example. Be responsible in your actions with regard to social events. Avoid unattended or careless use of candles. No open flames are allowed inside any Tufts University building. Keep BBQ grills at least 10 feet from the house. Never store the grill with the propane tank inside your house. Propane vapors are heavier than air and any leak of the gas would travel down to an ignition source, such as a pilot light or electrical arc, that would initiate an explosion that would be fatal to anyone inside the house. Do not disable smoke or CO detectors. 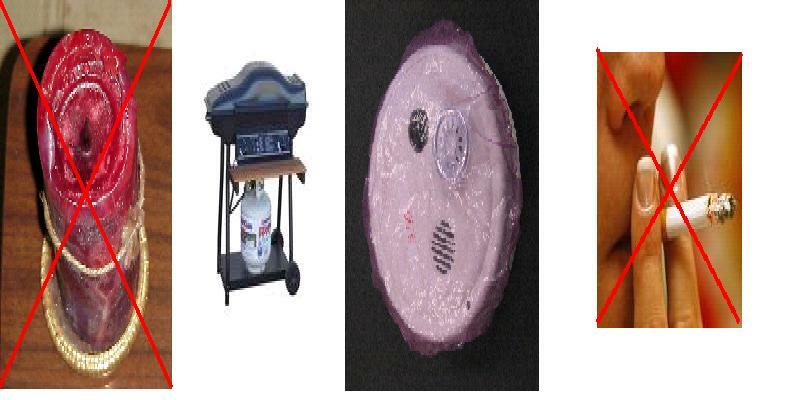 These are life saving devices that will give you an early warning to a life threatening event. Carbon monoxide, CO, is an odorless, colorless, and tasteless gas (known as the Silent Killer) that is the most abundant deadly byproduct of fire. Tampering, covering, disabling fire detection devices is a criminal offense, punishable by imprisonment and a fine and University disciplinary action. Do not smoke indoors. Smoking is prohibited in all Tufts University buildings. Smoking will result in the removal of the offender from campus housing. Do not leave your cooking unattended. Cooking is the number one cause of residential fires. Unattended cooking increases the chance of a stove top fire. Watch what you heat and never overheat cooking oils. Should a flash fire occur in a pan, carefully slide a cover over the pan to smother the fire. DO NOT move it to the sink or apply water to it, this will cause the flaming oil to splash and spread the fire to surrounding areas. Drinking alcohol increases the chance of falling asleep while smoking in bed. Approximately 50% of those who die in student housing fires have a high blood alcohol level that impairs their ability to react to a fire and safely escape. Assign an Event Monitor to perform a post-event inspection to ensure that all exits are unobstructed, trash is removed to the outside, and that smoking materials have not been discarded into trash or furniture. This inspection is a requirement in the Relationship Statement.